One of our favourite family fitness activity to take part in is ice skating. 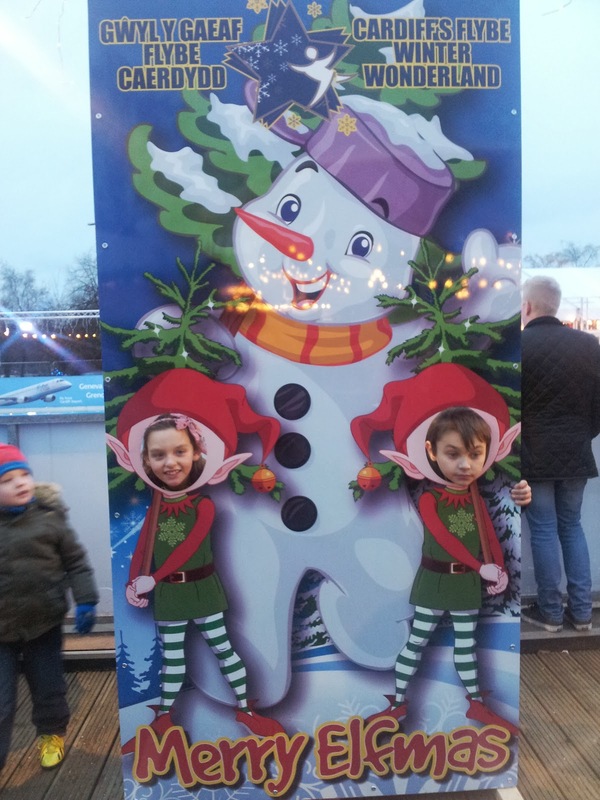 We were kindly given tickets to go skating at Winter Wonderland, Cardiff, which is always a treat. We also went skating at a smaller, local ice rink down Milford Marina. With the music playing, it definitely felt more disco than discipline, however I could feel my legs getting a good workout. It’s also great for balance and posture too, something that I need to work on after baby wearing and pushing buggies for many years! Going up the mountains sledging was a great fitness activity too. It certainly took some effort to climb up the slope again for each turn. The reward of whizzing down the hill on the sledge definitely made the effort worthwhile though. Whatever the weather, we always enjoy a good family walk. Woodland walks often provide shelter from the rain. Our favourite walks are along the Pembrokeshire Coastal Path so we can stop and run around on the beaches along the way too. As I find it hard to attend fitness classes around the kids, then fitness DVDs are great for me. Once the kids are in bed I can stick a work out DVD on and get on with it in my own time. I currently using a dance one to get me fit enough for the Danceathon. Now I’ve repeated the DVD quite a few times I do find myself getting bored and wanting to try new dances so I have also been using Youtube to train and I’m tempted to buy Just Dance for our XBox too. What tips do you have for keeping fit during the Winter? Find more ways to keep fit at Simple Health (I’ve taken part in a Santa run before bit haven’t done a Christmas/Boxing Day or New Year swim yet but definitely will in the future!). I was given ice skating tickets in return for this post. All opinions are honest and my own.